Joshua Roman has earned an international reputation for his wide-ranging repertoire, a commitment to communicating the essence of music in visionary ways, artistic leadership and versatility. As well as being a celebrated performer, he is recognized as an accomplished composer and curator, and was named a TED Senior Fellow in 2015. During the 2016-17 season, Roman will play Mason Bates’s Cello Concerto with four different orchestras: the Portland, Berkeley, Spokane, and Memphis Symphonies. The concerto is dedicated to the cellist, who premiered it with the Seattle Symphony in 2014, and has since played it around the U.S. In the second of two performances with the Omaha Symphony he plays Dreamsongs, a cello concerto written for him by Pulitzer Prize-winning composer Aaron Jay Kernis, after a concert featuring Tchaikovsky’s Pezzo Capriccioso and Variations on a Rococo Theme. He continues to pursue his artistic vision as Artistic Director of TownMusic at Town Hall Seattle, where last season he presented his own song cycle, … we do it to one another, and as Artistic Advisor of Seattle’s Second Inversion. 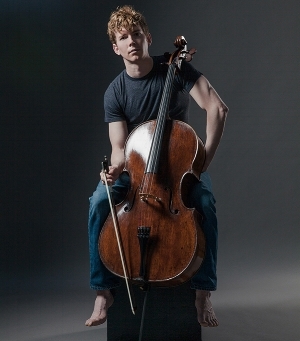 Before embarking on a solo career, Roman spent two seasons as principal cellist of the Seattle Symphony, a position he won in 2006 at the age of 22. Since that time he has appeared as a soloist with the San Francisco Symphony, Seattle Symphony, Los Angeles Philharmonic, BBC Scottish Symphony, Moscow State Symphony and Mariinsky Orchestra, among many others. An active chamber musician, Roman has collaborated with Cho-Liang Lin, Assad Brothers, Christian Zacharias, Yo-Yo Ma, the JACK Quartet, the Enso String Quartet and Talea Ensemble. His YouTube series (youtube.com/joshuaromancello), “Everyday Bach,” features Roman performing Bach’s cello suites from beautiful settings around the world. He was the only guest artist invited to play an unaccompanied solo during the YouTube Symphony Orchestra’s 2009 debut concert at Carnegie Hall, and has given a solo performance on the TED2015 main stage. Roman is grateful for the loan of an 1899 cello by Giulio Degani of Venice.